The most commonly used roof material in central Illinois is the asphalt shingle. These shingles come in a variety of colors, designs and sizes to accommodate any style of structure. Depending on the material used, the warranty can be anywhere between 15 and 50 years or “lifetime”. Proper installation and maintenance are key to achieve full life expectancy. 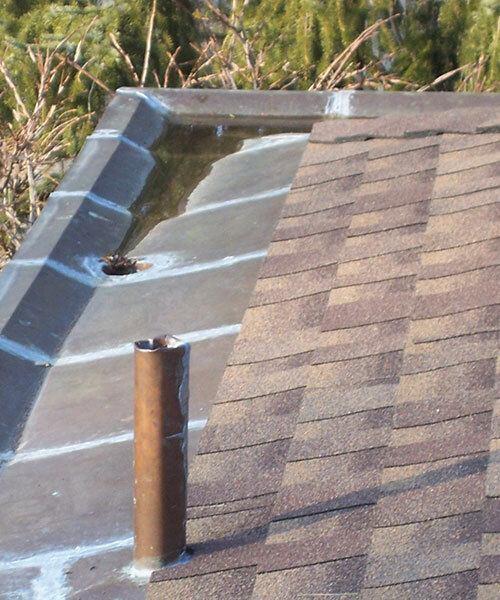 Proper flashing systems are key to ensuring your home's roof will withstand all of nature’s elements. Architectural asphalt shingles are the most widely used roofing material in central Illinois. New Roof with No Mess! White Roofing and Contracting utilizes equipment designed specifically for the removal of your home's existing roof. 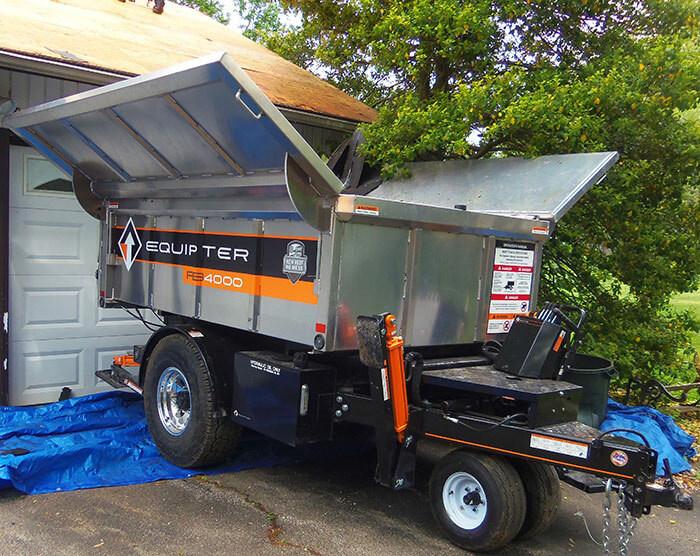 The Equipter is a self-propelled trailer used to collect roofing material from your home and transport it to the dumpster without causing damage to your home's exterior. This piece of equipment has greatly increased the efficiency and cleanliness of the roof removal process. We recycle old asphalt shingles and all other material taken off your home during your roof replacement.